This watch is incredible – from its blue panda dial to red instrumentation, its boldness drives our desire. 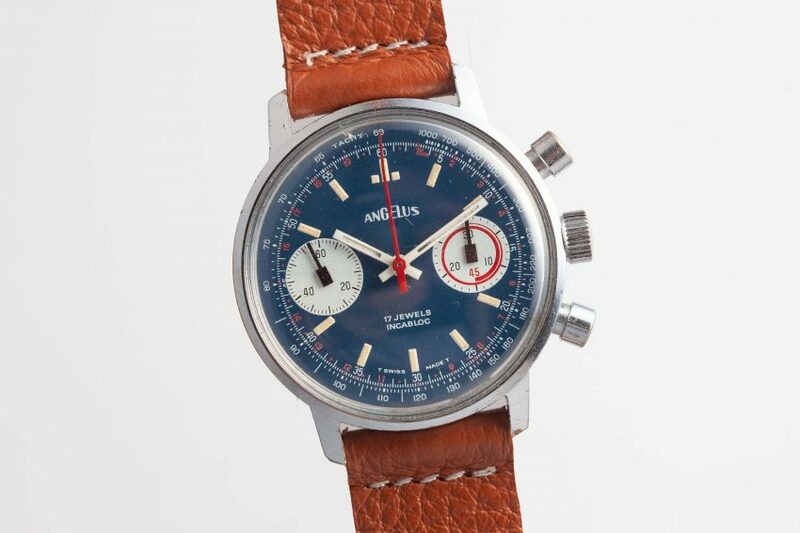 Backing up, manual wind chronographs are some of the most desirable watches on the market. Their mass and sporty functionality fit our current needs but their funkily detailed designs are, and could only have been, of the old world. This Angelus, with is gorgeous colors, is the full package. We’re lucky to have it and it’s our pleasure to share it with you.